We still do things the old-fashioned waywith a hand shake. We repair your air conditioning before we replace! 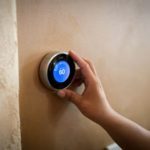 Looking for some Dallas AC repair work to be done? We know when your ac goes out or your air conditioning is acting up, how brutal it can be. Texas summers can take a toll on homes and offices in Dallas. This is why Cowboy Services offers both emergency AC repair and a maintenance plan. We will be there to help you take care of your existing AC unit. We will help you fix any parts that break so you can stay cool. By maintaining your existing AC unit you’ll be able to stay cool while keeping cash in your pocket. Cowboy Services AC & Heating offers full HVAC service for air conditioning repair, installation and replacement to clients in the area. Moreover, we repair AC units before replacing them. Our team of HVAC technicians have over 25 years of experience providing AC repair services in Texas. 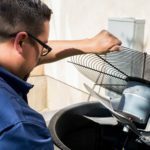 Whether you need an energy-efficient central air unit installed in your new home, or your old air conditioning unit needs professional repair because it’s leaking or not blowing cool air any more, our Dallas AC repair has got you covered. Our approach to AC repair and installation is simple, and it starts by delivering excellent service at a great price. We offer free estimates, and 100% financing. So contact us today to learn more about what we can do for you — we can take away the expense and the hassle! With our help, you can achieve the perfect home conditions for you and your family. Our newer air conditioning and heating units are energy efficient so that you get the very best results as the best price. One of the best things for any company to hear is that their service or products are appreciated. And the appreciation for Cowboy Services shows! We have many repeat customers who have been pleased by our service. Many of our customers also recommend us to their friends and family as well. Outstanding Service – There’s something to be said about working with a team you can trust. 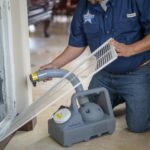 When your AC unit breaks down, you might be feeling overwhelmed and frustrated, but Cowboy Services is always there to help. That help starts with a simple handshake. From our first point of contact to our final clean up, you’ll know that you’re being treated right. Knowledgeable – With over 25 years of experience in the HVAC industry, you can trust that you’ll get the right information from our service technicians. Our service technicians have been trained and have all the knowledge needed to help maintain, fix or replace your existing AC system. You’ll never have to be concerned that you’re being fed the wrong information when you go with Cowboy Services. Thorough – From the moment you call us, you’ll rest assured you went with the right HVAC service. Our commitment to quality service is apparent from every person we employ. Our service technicians will evaluate your AC system and go through each point with you, so you know exactly what needs to be fixed and how much it will cost. And once repairs are done we often do follow up calls to ensure you are satisfied. If not, we make every effort to make sure you’re happy with our service. In the middle of August my air conditioning unit quit blowing cold air. With a two-year old and a new born at home, I was miserable. I was also very fearful of the cost, but after calling Cowboys AC they helped me understand that they could repair without replacing the unit. 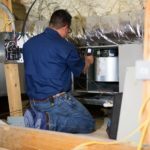 Their professional team of HVAC technicians came out to my house the same day I called and sure enough – they were able to fix the unit for a very affordable price. I’m very impressed with Cowboy AC and highly recommend their services. We are happy and proud that there are so many customer reviews just like this one. We work hard to make sure you are able to stay comfortable in your home and at a price that keeps you comfortable too. We also provide professional heating repair services in the Dallas area. Not every month in Texas requires your heater to work, but when it does get cold – we Texans need our heat! If you’ve got a gas furnace, we’ll be sure to complete our multi-point inspection to make certain it’s running efficiently. A gas furnace is a great way to heat your home because gas is able to quickly bring your home up to your desired temperature. It’s also a very affordable option. Most of the natural gas we use in this country is produced domestically, you’ll never have to worry about fluctuations in cost. Oil prices fluctuate and are unstable, but not natural gas. If you’ve already got a great furnace, but one or two of your rooms don’t get as warm as you’d like, an electric heater is a great choice. Install Easily – Baseboard heaters can easily be added to an existing room to give it an extra boost. The benefit of having electric heaters in separate rooms is that you can keep your house at a cooler temperature, but make sure specific rooms are warmer. This means savings in heating costs that really add up! Save you Money – You don’t have to worry about fluctuating gas or oil prices with electric heaters. These heaters also do not need any ductwork. This adds up to big savings for you! Are Very Efficient – when you use electric heaters, there is no waste. Every watt you feed into your heater produces heat. Electric heaters also don’t become less efficient as they age. A simple dusting is all you need to keep your heater going for years to come! Connect with us for a heater tune up to be sure that your system will run when you need it. We can service and repair your heater here in Dallas or install a new one if needed. We can also clean your air duct and improve the air quality of your home or business. We offer 24 Hour Emergency Service as well. Many of our AC customers choose to have a maintenance plan with us as well. When we come service your AC unit, we have a 17-point plan that goes through your entire system. One we complete our inspection, we’ll discuss next steps with you and address any questions or concerns you have. Refrigerant Levels – One of the most important parts of an AC system is the refrigerant. If your unit is low on refrigerant, it won’t be able to produce cool air at all. All Electric Connections – If your system has any loose or damaged connections, it won’t be working as well as it could. We go through every electric connection to make sure your AC unit is up and running when the heat is on. Fans and Blowers – Some fans in your AC system help push cool air through your home. Others are used to cool the system while it in use. Our inspection makes sure that every fan and blower is in operation so your home stays comfortable. Thermostat – A properly calibrated thermostat will make sure that your AC system turns on and off at the proper times. Plenum – Most people are familiar with the HVAC unit that is in their home. This is where the filter is found and changed. 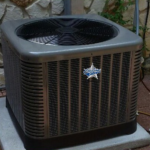 Cowboys AC is a Licensed Heater and Air Conditioning Repair Company Serving Dallas and The Greater DFW Metroplex. Air Conditioning Installation or Repairs for all AC brands for your home or business. 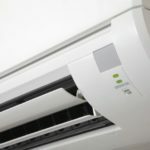 Keep your system running in top shape throughout the Dallas Summers. We are heating repair specialists dedicated to ensuring that you are cozy & comfortable all winter long. Ductless systems are a high-efficiency choice for home owners looking for simple zoned comfort solutions. Don't let your allergies & watery eyes keep you down. Have our techs fix your Indoor Air Quality today. Save money on your monthly energy bills by keeping your cooling & heating system running efficiently. Planning on doing some spring cleaning? Don’t forget your HVAC system. Check out Cowboy Services AC & Heating’s step-by-step post-winter HVAC check below. Dirty ducts could affect the air quality in your home & your health. HVAC services Cowboy Services AC & Heating talks about poor indoor air & what you can do. This winter, avoid getting sick because of lack of humidity and fresh air inside your home. Here are tips to improve the indoor air quality of your home.